Tour de Slate, Middletown Springs, VT: August 3, 2019 - The annual Tour de Slate fund-raising bike ride supports the addiction-ending efforts of Teen Challenge,VT. The Tour has four different routes designed to provide an enjoyable ride no matter what your level of experience. Central Vermont Cycling Tour, Montpelier VT, June 30, 2019 - The Central Vermont Cycling Tour started in 2002, as the EcoTour. And we still ride in support of healthy, active kids. The tour is a fundraiser for the Cross Vermont Trail Association. Vermont Adaptive Charity Ride, June 22-23, 2019 - he goal of the annual event is to enjoy the beauty of Vermont through cycling all while raising funds for the state’s largest nonprofit organization committed to providing sports and recreation to people with disabilities. Bike for the Lake, North Hero Vt., June 16, 2018 - Funds raised will support our work on projects to ensure that we can continue to celebrate the beauty of Lake Champlain! Routes of 30, 60, 80, and 100 miles through the Champlain Islands and along the New York shore. Register online before June 10th or day of on June 16th. The Point to Point, August 11, 2018 - The Point to Point, powered by VSECU, is a cycling and running event that was created in 2002 to raise funds and awareness for the Vermont Foodbank’s mission to end the growing problem of hunger in Vermont. 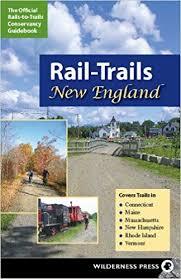 Cycling in Northern New England - Rides in Vermont, New Hampshire and Maine, including a couple of week-long cycling tours.